And I thought the painted lady would be my last of the year! 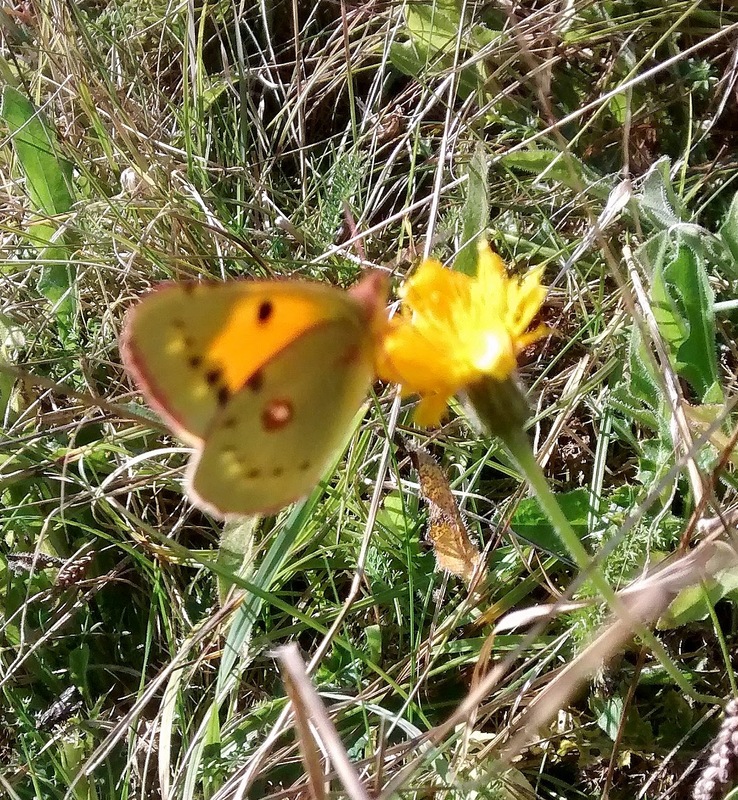 Nope, the clouded yellows are still around and finally, I have a photo! Not a very good one, but I wasn't expecting to see anything. I spotted this one out of the corner of my eye while I was walking Beau at Ham Hill. Only had my mobile phone on me, so I let Beau off the lead and ran after this one. Luckily, she was quite happy to land for me. I also saw another clouded yellow this morning just walking the dog over the park - a male too, which I've not seen before. Bonus pics this time will be of moth caterpillars. I love these things too. So, on the left is a buff-tip moth caterpillar. Kinda similar to large white caterpillars. I saw this one at Wych Lodge and I'm pretty pleased with the way the photo turned out with a nice clean background. On the right is, I think, a fox moth caterpillar. I say think, because other photos I've seen of them have shown them being much hairier, unless this is a really young one! I'm not sure what else it would be. This is unmistakable. The most amazing caterpillar. Very big! Elephant hawk moth caterpillar. The actual moths are stunning. I saw this one at Thurlbear Wood. Just came across this one while on my usual daily walk with Beau. 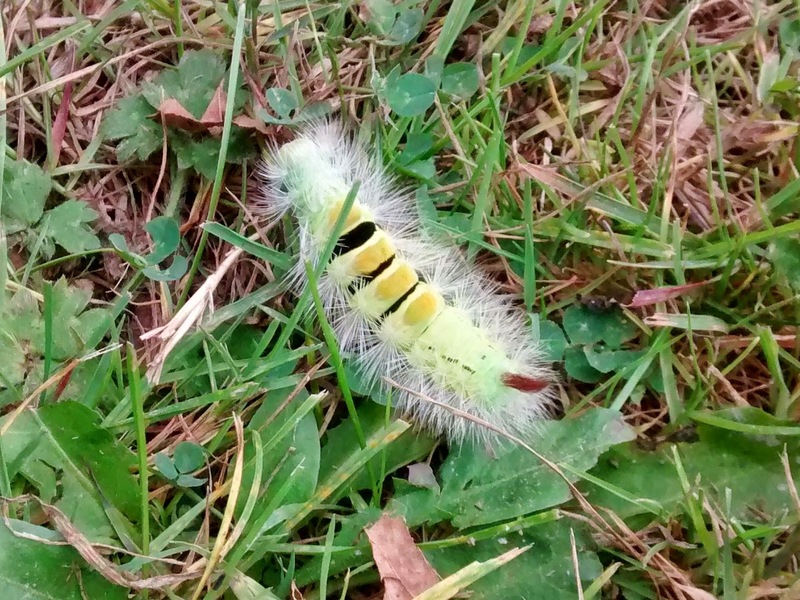 This is a pale tussock moth caterpillar. Very odd looking - like a toothbrush! Also known as hop dogs because they're found on hops.